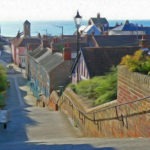 Aldeburgh has almost no recorded history before the time of Henry VIII, but archaeological evidence indicates the earlier presence of both the Romans and the Saxons. By the time Domesday Book was compiled in 1086 this corner of Suffolk was one of the most highly populated parts of the country; foreign merchant ships were visiting English waters; and the port of Dunwich was developing, soon to dominate the coast. 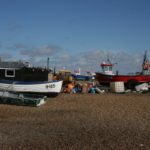 Aldeburgh, however, remained an unimportant little fishing village until some time after 1500, when its shifting coast-line opened up a sheltered ‘haven’ which soon became a thriving centre for ship-building and trade. The town prospered. It was granted borough status in 1529 by Henry VIII. Two of Sir Francis Drake’s most-famous ships – The Greyhound and the Golden Hind were built in the town.  Aldeburgh’s importance as a port declined as the River Alde silted up and large vessels could no longer berth there. It survived as a fishing village until the the 19th Century when it became a fashionable seaside resort. Boats still fish from the shore and sell their catch from huts on the shingle beach. 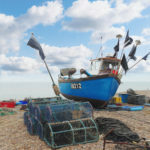 Aldeburgh was the home of composer Benjamin Britten and is at the centre of the internationally-acclaimed Aldeburgh Festival at nearby Snape Maltings. And in 1908, Aldeburgh became the first British town to elect a female Mayor, Elizabeth Garrett Anderson. The town will be celebrating the centenary of her death in 2017. Aldeburgh lies within the Suffolk Coast and Heaths Area of Outstanding Natural Beauty. Protected by shingle banks, the town enjoys stunning views across the sea, marsh land, heaths and estuary. It has many buildings of historic interest, including the 16th Century Moot Hall and a Napoleonic-era Martello Tower. 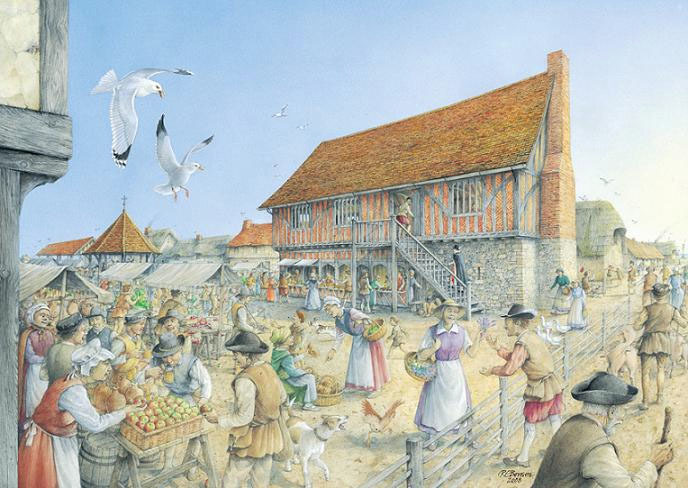 For more information about the Museum, Aldeburgh and the Moot Hall, click here. Aldeburgh is celebrating the life of one it’s most internationally-renown citizens this year. 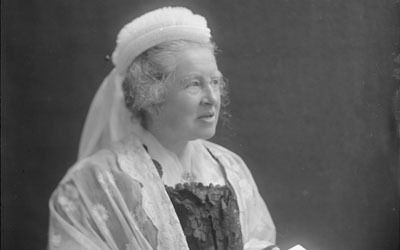 When Elizabeth Garrett Anderson was elected Mayor of Aldeburgh in 1908 she became the first woman mayor in Britain and a whole series of events have been organised to mark the centenary of her death. For full details of the celebrations, click here.